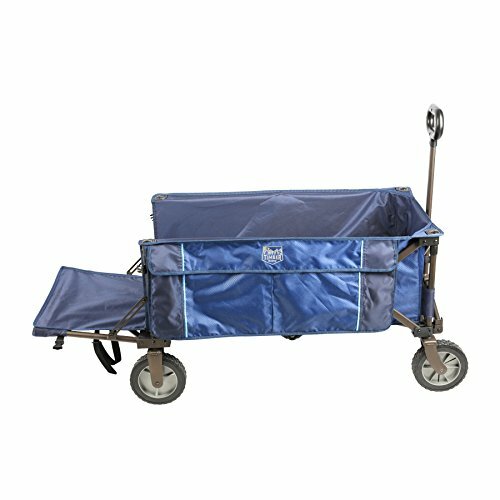 Haul around all kinds of items easily and EFFICIENTLY with this uniquely designed wagon. This wagon can conveniently transport up to 225 pounds, and it features a handy and innovative folding tailgate that allows you to load and unload items effortlessly, as well as haul longer items. INSTANT AND EASY SETUP: Sets up in seconds - no assembly required! Due to the strong frame and durable 600D material, the heavy duty wagon allows loads up to 180 lbs.